I will fully admit that I have never tried to develop skill as an artist. But this contest drove me to try my hand at the craft again. It's Firstbourne and kid Wu from Ninjago Hunted. For a more masterful portrait of these two characters, check out Sabretooth's Kindred Souls. Thanks for the mention! 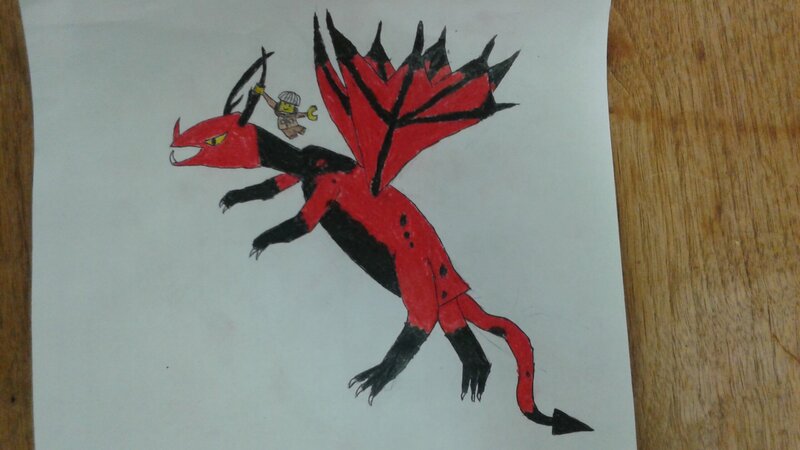 Props to you for actually going the whole mile and drawing the whole dragon! Also Baby Wu looks awesome. It's a great concept, albeit with lots of room for improvement. I would suggest just drawing and doodling stuff until you feel confident.